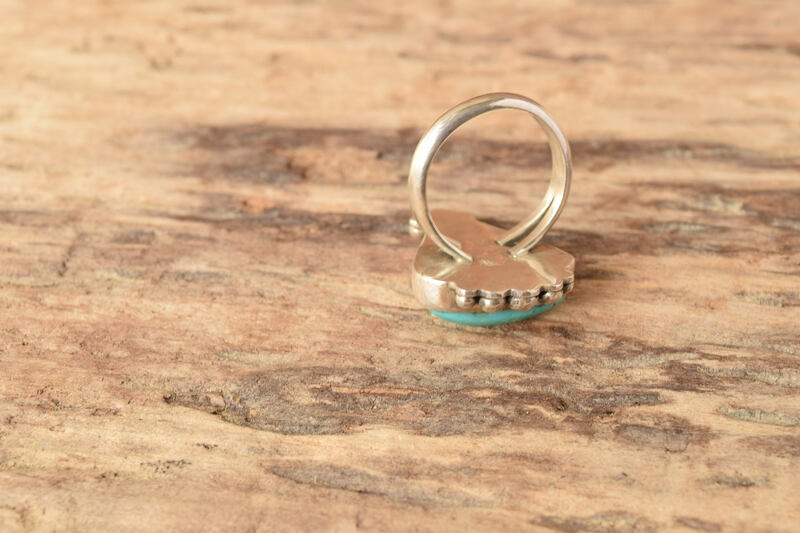 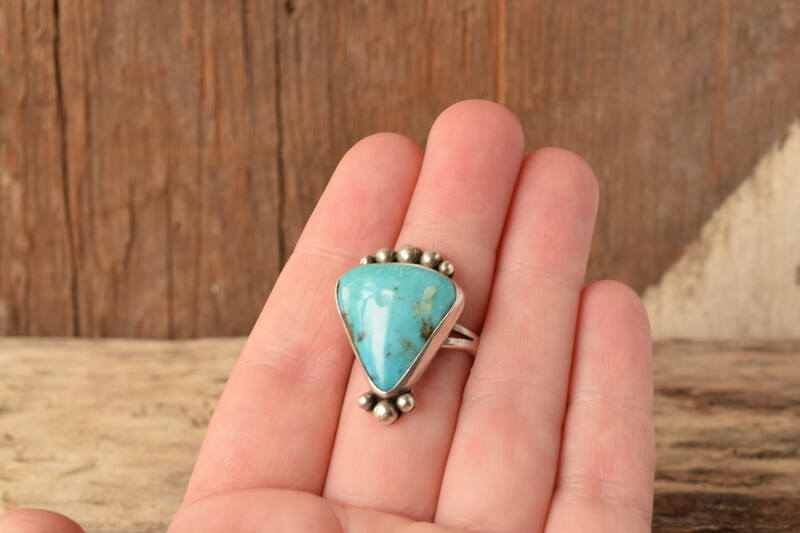 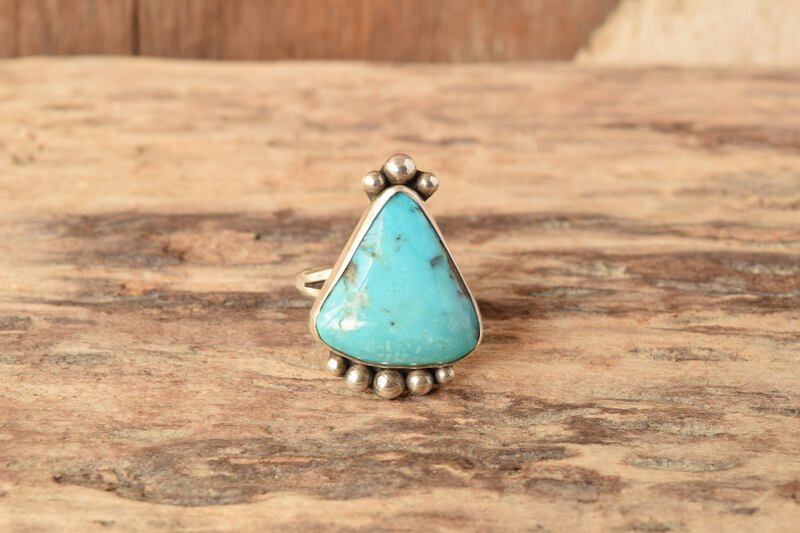 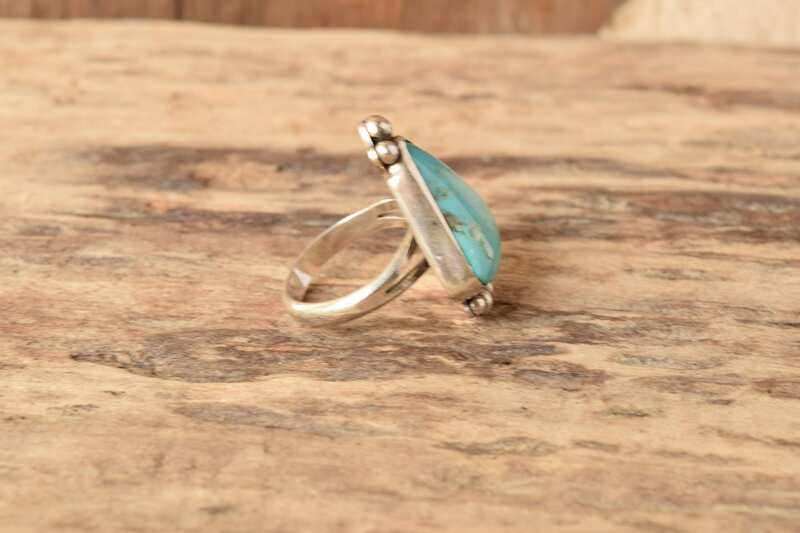 Add this stunning triangle shaped turquoise stone ring to your jewelry collection! 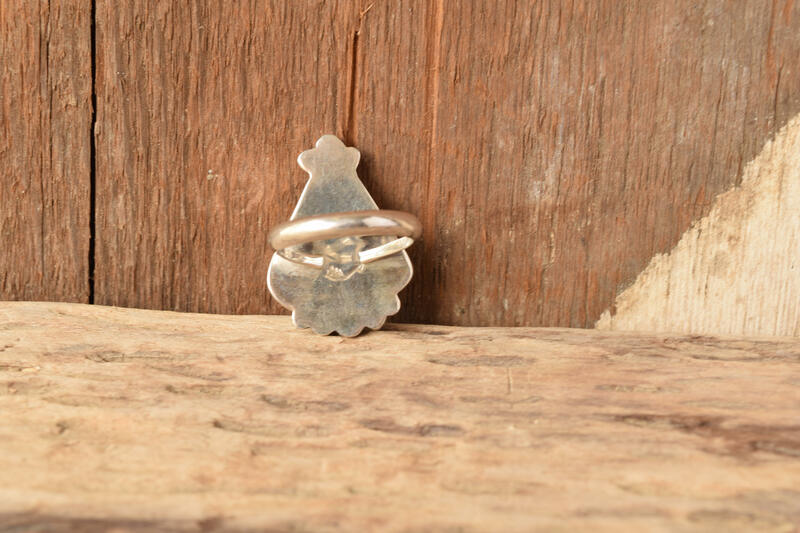 It features accents in sterling silver and is signed by the artist with a broken arrow stamp. 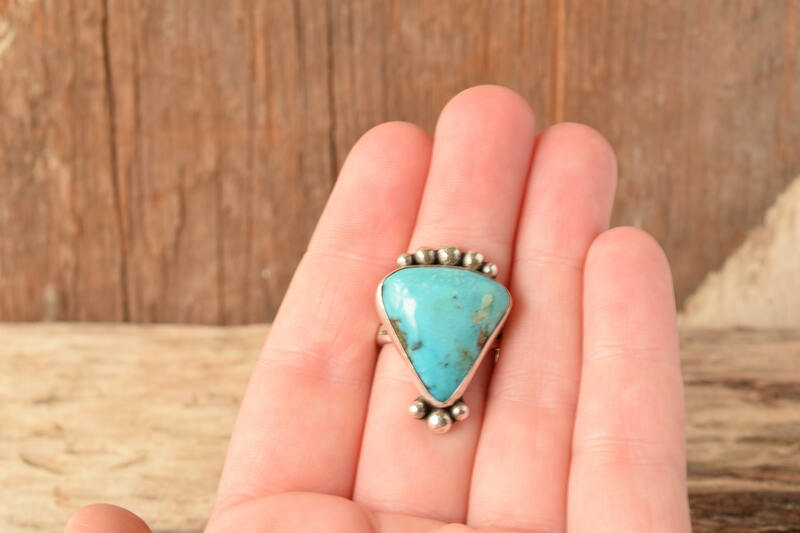 Condition: Excellent with minor surface wear.